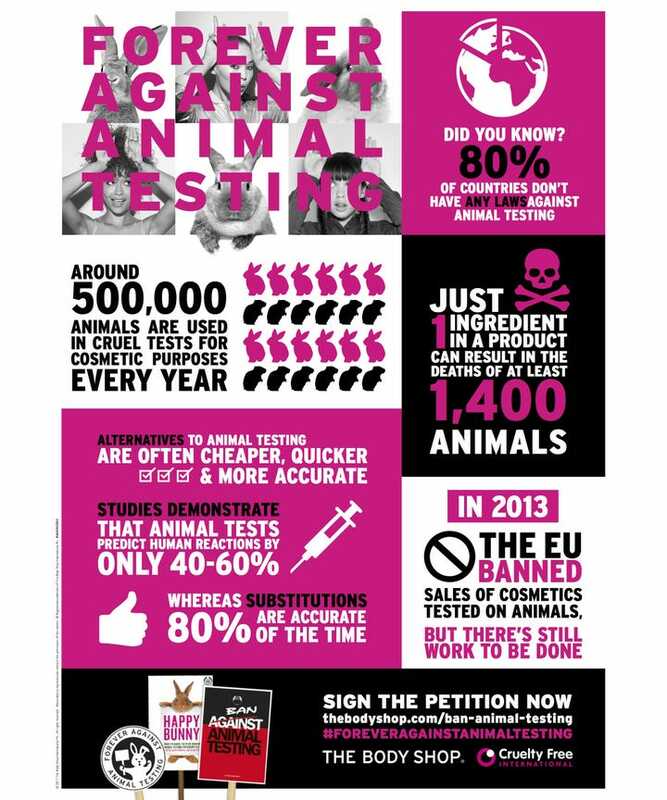 The Body Shop has announced a new campaign to advocate for complete elimination of animal testing globally in the beauty and skincare industry by 2020. The retailer has partnered with the non-profit, Cruelty Free International, which is the leading organization of this kind, dedicated to fighting the testing of cosmetics on animals. The campaign plans to take its efforts to the United Nations and will request a convention dedicated to supporting the effort to ban cosmetics testing on animals. According to the news release, 80% of countries around the world currently do not have any laws or regulations on animal testing in place at all, and Cruelty Free International estimates that 500,000 animals are currently being tested on each year. These statistics come to surface despite the availability of alternative and equally as effective methods of testing cosmetics, such as testing products on artificial skin. “While more and more countries require non-animal safety tests and many have taken steps to prohibit cosmetics testing on animals, there is more work to be done,” says CEO of Cruelty Free International, Michelle Thew. “People are confused about animal testing. The world over, people want this cruel practice to end, yet existing laws are a patchwork of different rules with some very big gaps,” she continues. The ultimate goal of the shared campaign is to earn eight million signatures for their petition, urging the United Nations to introduce an international convention to end animal testing for good. You can sign the petition online or in The Body Shop stores.